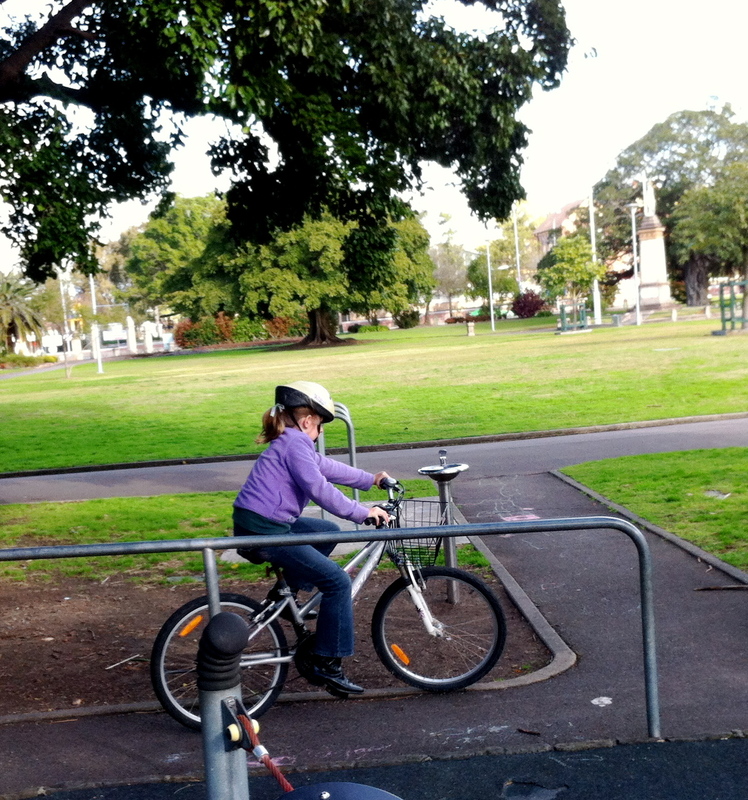 ← Is it possible to look professional on a bike? Such a confident little chap! I love that she has a small basket on the front with her name on it! 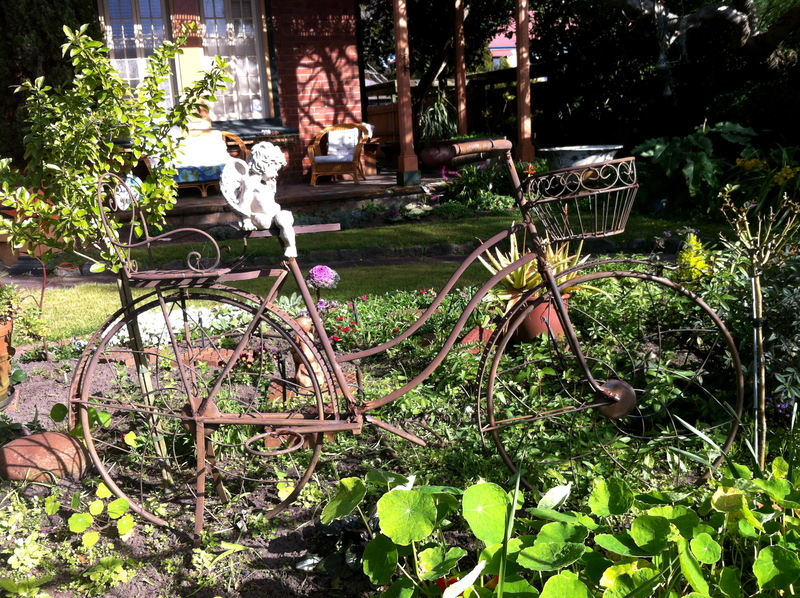 Bike planter with cherub rider! 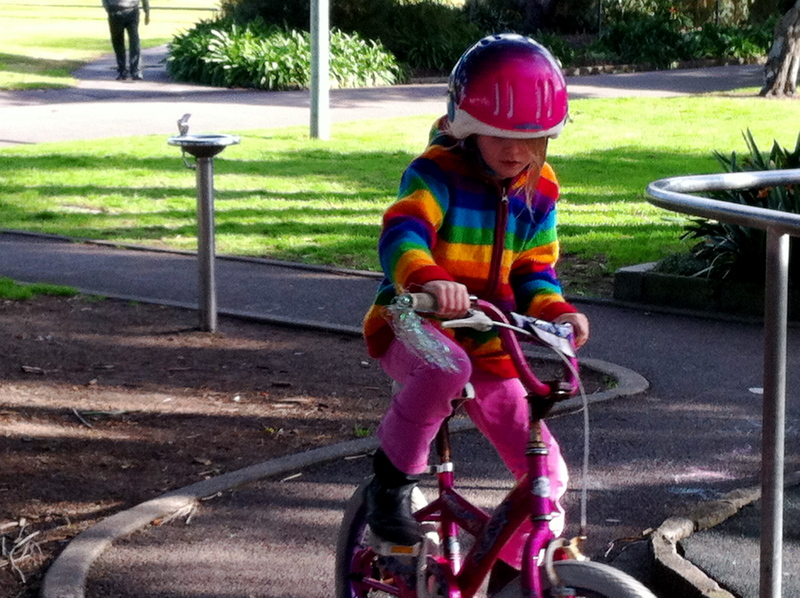 This entry was posted in Uncategorized and tagged garden, kids on bikes, street cyclists. Bookmark the permalink. The bike planter is gorgeous! I thought so when I saw it too, BB. I had seen one in a box at Bunnings and thought who would get that, but seeing it in the garden, it looks really gorgeous. I like the first photo’s composition and interplay of textures. 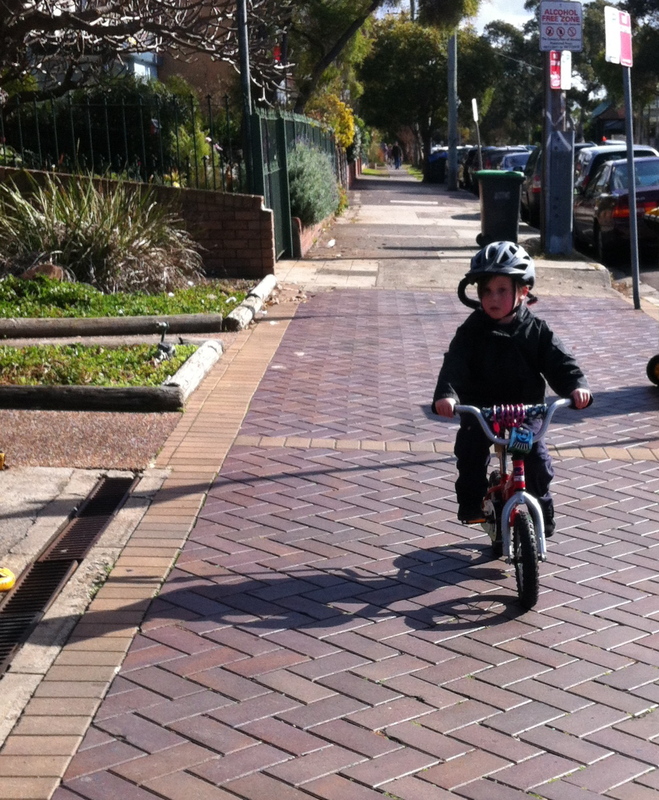 Oh those determined little tykes! He was such a tiny little fellow and riding so well too, he must have been only about 4!